In almost 100 years of service, the 31st Infantry Regiment has played a role in every major conflict and military operation involving the U.S. Army from World War I to the Global War on Terrorism. Since 1813, three regiments have held the designation 31st Infantry. The first was constituted on 29 January 1813 and consolidated with the Regiment of Light Artillery in 1815. The second 31st Infantry was originally constituted 3 May 1861 as the 3d Battalion, 13th Infantry, and redesignated the 31st Infantry in September 1866. It was then consolidated with the 22d Infantry on 15 May 1869 and redesignated the 22d Infantry. The most recent unit designated 31st Infantry is one of a few Regular Army units constituted and organized outside of the United States. Comprised of soldiers from the 8th, 13th, 15th, and 27th Infantry Regiments, the 31st was formed on 13 August 1916 at Fort William McKinley in Manila, the capital of the Philippines. Less than a year after the 31st’s formation, the United States entered World War I in April 1917. However, the 31st Infantry’s first trials were not to occur in the trenches of France, but in the frozen wasteland of Siberia. Due to the chaos of the Russian Revolution in late 1917 and the disintegration of the Eastern Front in early 1918, Russia descended into civil war and anarchy. In an effort to revive the Eastern Front, secure Allied supply caches and the crucial Trans-Siberian railway, and rescue the beleaguered pro-Western Czechoslovak Legion, Allied leaders convinced President Woodrow Wilson to assist in organizing expeditions to North Russia and Eastern Siberia. The 31st Infantry was a part of American Expeditionary Forces Siberia (AEFS) that included the 27th Infantry Regiment and several support units under the command of Major General William S. Graves. The 31st departed the Philippines in August 1918 for the Russian port of Vladivostok, arriving on 21 August. The regiment was broken up into several detachments and posted at critical points along the crucial 81-mile rail branch of the Trans-Siberian railroad to the vital coal mines in the Suchan river valley northeast of Vladivostok. With the armistice in November 1918, Allied objectives in Siberia rapidly evolved into an anti-Bolshevik campaign. In early 1919, tensions exacerbated by the brutality of Alexander Kolchak’s anti-revolutionary government along with its mercenary bands of Cossacks and Manchurian bandits reached a boiling point. Under orders of strict neutrality, American soldiers were not to interfere in Russian internal affairs as stated by President Wilson unless attacked by an armed force. As the various Allied sectors came under increased attacks by Red partisans, the Bolsheviks tried to avoid confrontation with the Americans until May 1919, when Red forces in the Suchan sector demanded a complete withdrawal of all Allied troops. When this demand was refused, partisans launched attacks on trains along the Suchan branch. Over the next several months, the 31st Infantry clashed with Red forces at Novitskaya, Romanovka, Novo Nezhino, and other locations in the Suchan Valley. By December 1919, the Kolchak regime collapsed and White Russian forces were in disarray. In January 1920, President Wilson, under pressure from Congress and a war weary public, ordered all forces in Siberia be withdrawn. The 31st Infantry began leaving that month, with its last elements departing Vladivostok in early April. Total casualties for the regiment amounted to thirty killed and sixty wounded sustained from forty-two engagements in seventeen months. For its service in Siberia, the regiment was nicknamed the “Polar Bear” regiment; in October 1921, a polar bear emblem was incorporated into the regimental insignia. After service in Siberia, the 31st returned to garrison duty in Manila and became the nucleus of the newly activated Philippine Division, comprised of the 31st Infantry, two regiments of Philippine Scouts, and division artillery, in June 1921. The regiment also served as the honor guard of U.S. forces in the Philippine Department. 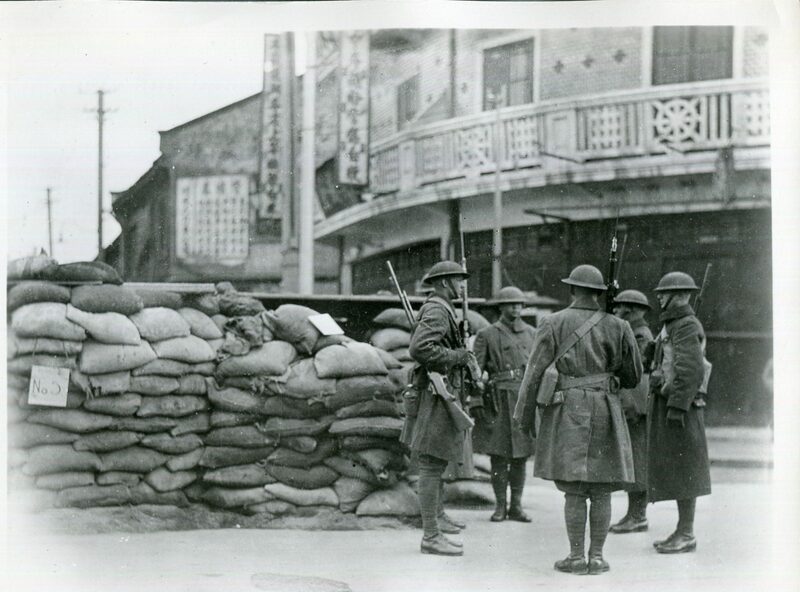 When hostilities broke out between Japanese and Chinese forces in Shanghai in early 1932, the 31st Infantry was sent to reinforce the 4th Marine Regiment in the International Settlement of Shanghai. Arriving on 2 February, the 31st assisted in providing security in and around the International Settlement while Chinese and Japanese troops fought in the streets within view of sentries. Tasked with protecting American citizens and property and preventing refugees and armed Chinese from overwhelming the settlement zone, the 31st remained in Shanghai until hostilities ended in June. While in Shanghai, the officers of the 31st collected $1,600 in silver dollars and had a Chinese silversmith craft a silver punch bowl and sixty-five matching cups to commemorate the regiment’s service in Shanghai. 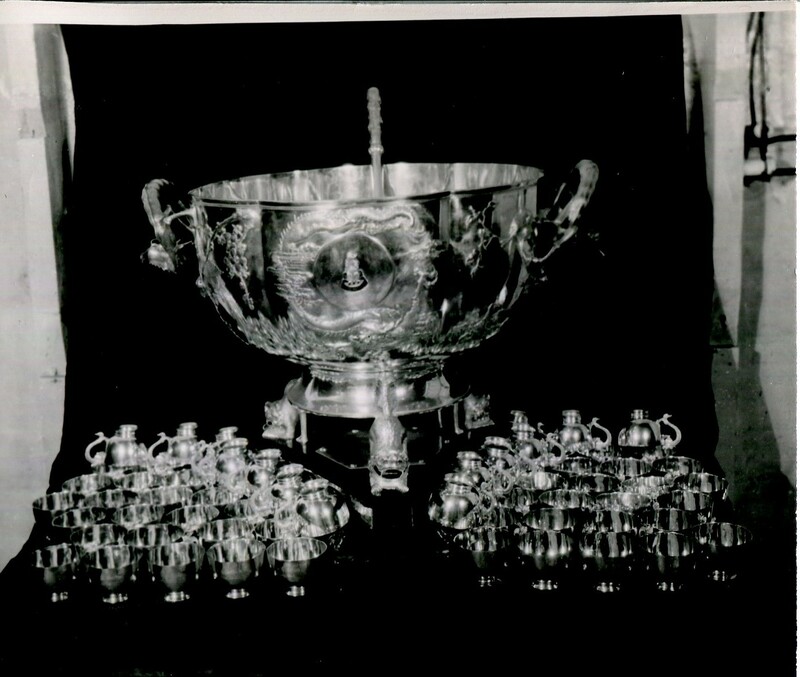 The bowl became an important part of future regimental ceremonies. Following service in China, the 31st returned to Manila and the monotony of garrison duty. However, with the threat of war looming in the Pacific, General Douglas MacArthur, who was the military adviser to the Philippine government, began instituting a program for national defense and augmentation of the Philippine armed forces. Focusing on the defense of Luzon in the event of a Japanese invasion, the Philippine Division was the nucleus of a largely Filipino defense force. After the Japanese struck the U.S. Pacific Fleet at Pearl Harbor, Hawaii, on 7 December 1941, Japanese planes struck American aircraft at Clark and Iba Fields on the morning of 8 December, destroying most of MacArthur’s airpower. The Philippine Division was held in reserve around Manila and the Bataan Peninsula to support the beach defense forces if needed and prepare defenses on Bataan and Corregidor Island. Japanese landings on 10 Dcember encountered little resistance from the lightly-armed Filipino reservists. The arrival of the Japanese Fourteenth Army at Lingayen Gulf on 22 December and Lamon Bay the following day forced MacArthur to order a a hasty withdrawal to Bataan and Corregidor. The 31st Infantry was assigned to cover the withdrawal of units onto the peninsula. As a result of the rapid retreat, many units were forced to abandon crucial supplies and heavy weapons. In order to allow the defensive lines time to stabilize, MacArthur ordered five thousand men, including the 31st, to fight a delaying action against elements of the Japanese a few miles south of the destroyed-Layac bridge on 6 January 1942. The 31st incurred heavy casualties by the time it rejoined the main defensive line at Abucay on 9 January. Despite dwindling supplies and mounting losses, the the 31st and other units defending Bataan managed to halt the Japanese advance and forced them to withdraw and await reinforcements from China over the next several weeks before renewing their offensive. Disease such as malaria and dysentery became rampant on both sides, particularly the Americans and Filipinos when medical supplies were exhausted. Fifty percent of the 31st Infantry and the rest of the defenders were sick and malnourished by the time the Japanese renewed their offensive in early April. As American and Filipino forces on Bataan surrendered to the Japanese on 9 April, remnants of the 31st escaped to Corregidor aboard the gunboat USS Mindanao, with the regimental colors and the prized Shanghai Bowl. Two captains from the 31st, Earl R. Short and George A. Sansep, buried the Shanghai Bowl and cups in a waterproof box on Malinta Hill and burned the colors before Corregidor fell on 6 May. Several men of the 31st who did not surrender managed to link up with other American soldiers and Filipino guerrillas and continued the fight. By the time of liberation in September 1945, over 1,000 soldiers of the 31st Infantry died in captivity, including most of the regiment’s officers and senior noncommissioned officers. Captain Short, who was promoted to the rank of major after his release from captivity, returned to Corregidor on the orders of Major General R.J. Marshall, Deputy Chief of Staff, U.S. Armed Forces, Pacific Theater, to find the buried Shanghai Bowl. After a two-month search, the prized bowl and cups were recovered with only a small dent on the side of the bowl. The 31st Infantry was reconstituted on 19 January 1946 from the personnel of the 184th Infantry Regiment, California National Guard, and attached to the 7th Infantry Division in Korea during the Allied occupation. After two years of patrolling against North Korean guerrillas along the 38th Parallel, the 31st Infantry along with the 7th Infantry Division were sent to the northern Japanese island of Hokkaido where they underwent constant physical and combat training. When hostilities broke out in Korea on 25 June 1950, many of the 7th Division’s experienced personnel were reassigned as replacements for divisions already deployed in the Pusan perimeter. As a result, the 7th Division received 8,000 untrained South Korean civilians—the first KATUSAs (Korean Augmentation to the U.S. Army)—to help bring units up to strength in August. Leaving Japan on 11 September, the 31st took part in the successful amphibious landing at Inchon on 16 September. As the 1st Marine Division advanced toward Seoul, the 31st moved to the town of Suwon, fifty miles south to prevent North Korean reinforcements from reaching the South Korean capital. 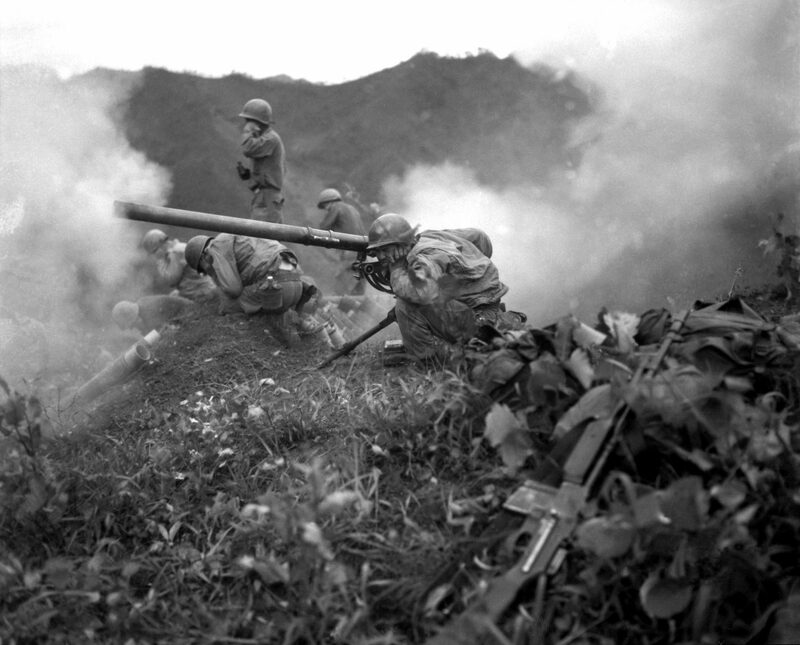 On the night of 24 September, elements of the North Korean 105th Armored Division attacked the regiment’s 2d Battalion on Hill 142 near the Suwon airfield, but were repulsed with the help of artillery support. On 26-28 September, 2d Battalion, with the support of 3d Battalion and tanks from the 73d Tank Battalion, attacked enemy positions on the hills near the village of Osan, ten miles south of Suwon. The two battalions destroyed fourteen enemy tanks, six antitank guns, several mortars, inflicted over 300 North Korean casualties, and secured the Suwon-Osan corridor. After the Inchon and Suwon-Osan operations, the 31st boarded transports at Pusan in October and took part in the landings at Iwon, North Korea, on 3 November in an effort to cut off retreating enemy troops. Five days later, the regiment first encountered Chinese Communist Forces (CCF) near the Pujon Reservoir. The Chinese withdrew after a brief battle. Elements of the 31st Infantry took part in operations around the Chosin Reservoir in late November as part of the 31st Regimental Combat Team (RCT), commanded by Colonel Alan D. MacLean. The 31st RCT was comprised of 2d and 3d Battalions of the 31st Infantry (2/31 Infantry, 3/31 Infantry; 1st Battalion, 32d Infantry (1/32 Infantry); 57th Field Artillery Battalion; and 31st Tank Company. 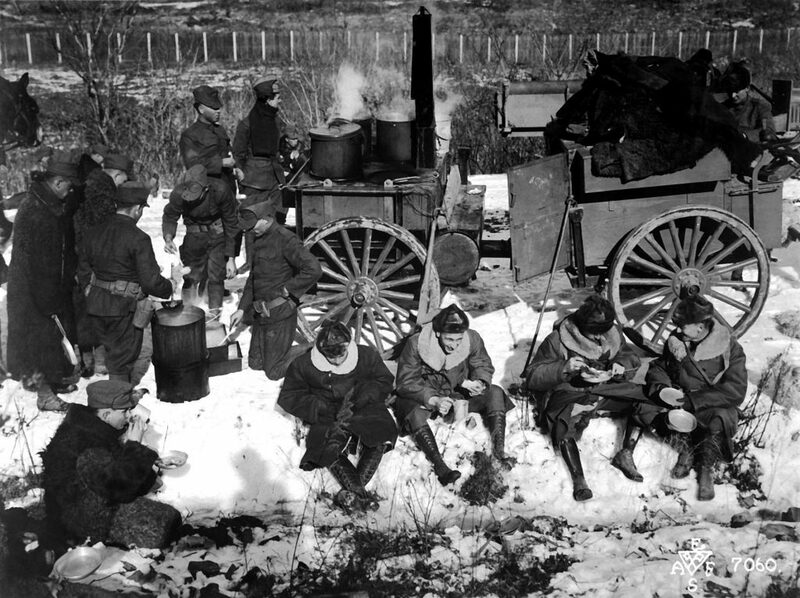 Also known as Task Force MacLean, the 31st RCT was to spearhead a northward advance in bitterly cold weather along the eastern side of the reservoir in conjunction with the 1st Marine Division moving north on the western side. Operating under poor intelligence, the units of the task force were scattered along the rugged terrain with minimal communications. Unbeknownst to MacLean, CCF forces arrived undetected and attacked the task force in overwhelming numbers on the night of 27 November. 3/31 Infantry and two batteries of the 57th Field Artillery Battalion were driven from their initial positions. 1/32 Infantry, commanded by Lieutenant Colonel Don C. Faith, was also attacked, but held its ground thanks to air support by Marine F4U Corsairs. A relief force from the 31st Tank Company attempted to reach the beleaguered infantry battalions, but it was ambushed by Chinese troops and pushed back. At around midnight on 29 November, the Chinese renewed the offensive. As fighting raged around the 3/31 Infantry’s perimeter, MacLean spotted an approaching column coming under American fire. Believing it to be 2/31 Infantry, MacLean ran out to try and prevent its destruction. The column was a group of CCF soldiers, which opened fire and mortally wounded MacLean. Lieutenant Colonel Don Faith assumed command of the task force, now called Task Force Faith. Upon receiving orders to withdraw, the task force began heading south toward Marine lines at Hagaru-ri with over 600 wounded loaded in trucks. Encountering road blocks along the route, the task force, including many of the wounded, tried to clear Chinese positions, suffering additional heavy casualties. Faith was mortally wounded while leading an assault on one of the Chinese road blocks and was posthumously awarded the Medal of Honor. The task force soon disintegrated under continued Chinese attacks, with the remnants venturing out onto the frozen reservoir and reaching the Marines at Hagaru-ri on the night of 1-2 December. In all, around 1,000 men from the task reached friendly lines, but less than 400 were considered fit for duty. 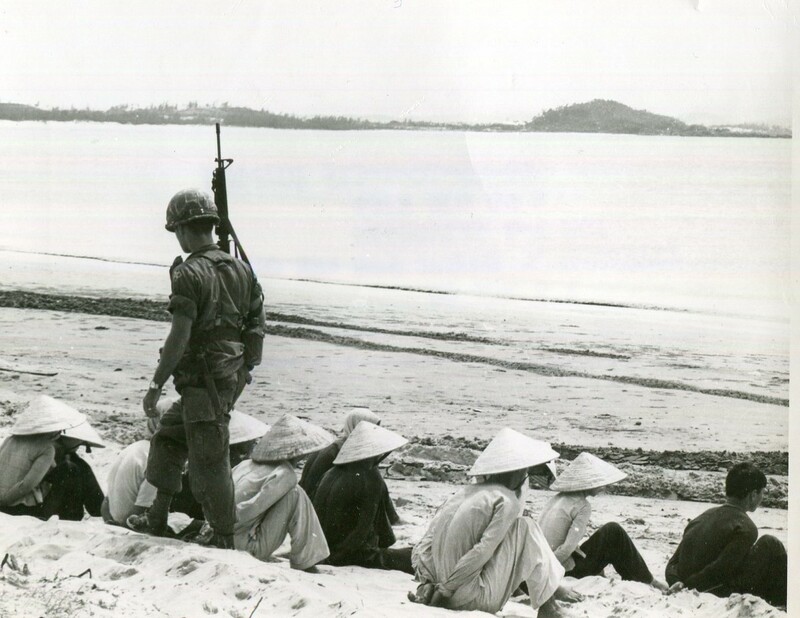 The task force survivors were then reorganized as a provisional battalion and participated in the 1st Marine Division’s breakout to the coast at Hungnam on 6-10 December. Of the original fifty officers and 1,000 soldiers of the 3/31 Infantry during the Chosin operation, only two officers and 100 enlisted men reached the coast. For their actions at Chosin, which likely prevented the Marines from being cut off and annihilated on the western side of the reservoir, the Navy awarded 3/31 Infantry and other elements of the 31st RCT a Presidential Unit Citation. Returning to Pusan in late December 1950, the 31st Infantry participated in counteroffensive operations in central Korea throughout most of 1951. The regiment relieved elements of the 2d Infantry Division at Heartbreak Ridge in October 1951 and was put in reserve in early 1952, where it underwent intensive training. The 31st later participated in some of the heaviest fighting of the war at Triangle Hill and Sniper Ridge in October 1952. In April 1953, the 31st took part in the first battle of Pork Chop Hill and played a key role in securing the position after the regiment’s Company E was overrun by Chinese forces on the night of 16 April. After the armistice in July 1953, the 31st Infantry remained in Korea with the 7th Infantry Division. In 1957, as a result of the Army’s institution of the “Pentomic Division, infantry regiments underwent a significant transformation as battalions were reorganized and redesignated as battle groups. 1st Battalion, now the 1st Battle Group, remained with the 7th Infantry Division in Korea; 2d Battle Group was activated in March 1958 at Fort Rucker, Alabama, and marked the first time an element of the 31st Infantry was posted in the United States. 3d Battle Group was assigned to the Army Reserve and attached to the 63d Infantry Division. When the Army abandoned the Pentomic Division in favor of ROAD (Reorganization Objective Army Division) in 1963, the battalion designation was revived. 1st and 2d Battalions were reactivated in Korea, while 3d Battalion remained in the Army Reserve in California. When the Vietnam War came, the Army activated the 5th Battalion at Fort Rucker in 1964, 4th Battalion at Fort Devens, Massachusetts, in September 1965, and 6th Battalion at Fort Lewis, Washington, in 1967. 4/31 Infantry was deployed to Vietnam in the spring of 1966, operating in and around Tay Ninh province as part of the 196th Light Infantry Brigade. The battalion took part in Operations ATTLEBORO and FITCHBURG in the fall of 1966. In early 1967, it participated in Operation GADSDEN to prevent Viet Cong (VC) guerrillas from freely crossing the South Vietnamese-Cambodian border. Immediately following GADSDEN, 4th Battalion took part in Operation JUNCTION CITY, its last operation in Tay Ninh, to clear VC activity in the province. In late April 1967, 4/31 Infantry was reassigned to the newly activated 23d Infantry Division (Americal), operating in Quang Ngai, Chu Lai, and the Que Son Valley for the rest of the war. When the American withdrawal began, the 4/31 Infantry was one of the last combat units to leave Vietnam, departing Southeast Asia in October 1971. 6th Battalion, 31st Infantry, arrived in South Vietnam in April 1968 and assisted in the recapture of Saigon’s suburbs during Phase II of the Tet Offensive in May 1968. 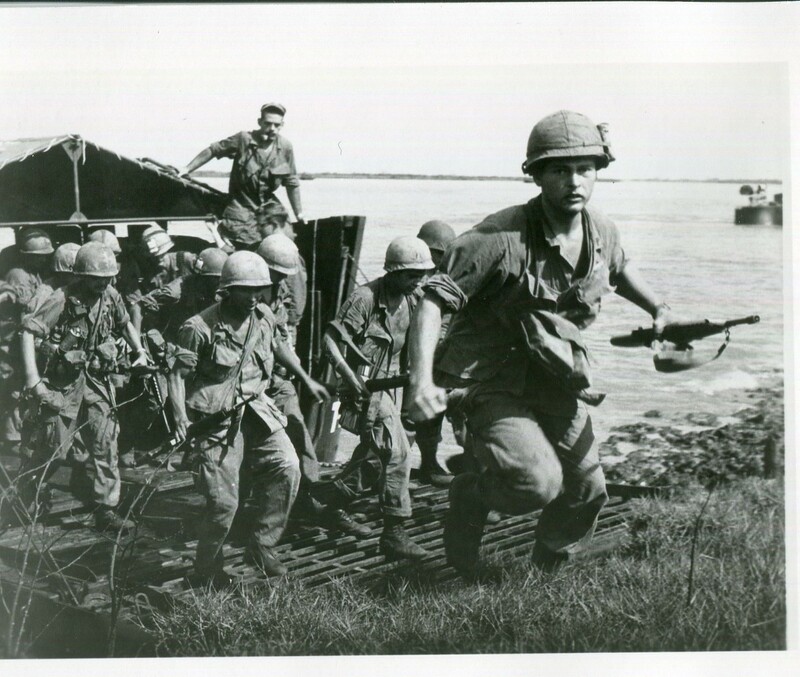 Assigned to the 9th Infantry Division, 6/31 Infantry conducted operations in the Mekong Delta and the Plain of Reeds region near Cambodia for two years. In August 1969, most of the 9th Division departed Vietnam in August 1969. 6/31 Infantry remained in Vietnam with the division’s 3d Brigade and earned a well-deserved reputation for combat prowess. Returning to Fort Lewis, 6th Battalion was inactivated in October 1970. After Vietnam, the 31st Infantry underwent another period of reorganization. 1st Battalion remained in Korea until its inactivation in 1987, having never served in the United States. 2d Battalion was inactivated in Korea in 1971, but was reactivated at Fort Ord, California, in 1974, where it remained until its inactivation in 1988. 6th Battalion was reactivated at Fort Irwin, California where it served until 1988 when it was again inactivated. 4th Battalion was assigned to Fort Sill, Oklahoma, to support the U.S. Army Field Artillery School until it was inactivated in 1995, only to br reactivated and assigned to the 10th Mountain Division at Fort Drum, New York in April 1996. In 1999, 4th Battalion deployed to Bosnia-Herzegovina as a part of Task Force Eagle. In wake of the terrorist attacks of 11 September 2001, 4th Battalion participated in Operation NOBLE EAGLE, protecting critical infrastructure in Maryland. After deploying to Afghanistan in early 2002, 4th Battalion took part in Operation ANACONDA in the Shah-i-Kot Valley in March of that same year. In 2003, 300 soldiers deployed on security and training missions to Djibouti and Ethiopia in support of Combined Joint Task Force-Horn of Africa. Company B, 4th Battalion, deployed in March 2003 to provide base defense and conduct combat operations as a part of Combined Joint Task Force-Arabian Peninsula. In May 2004, the entire battalion deployed to Iraq with 2d Brigade, 10th Mountain Division, and conducted combat operations around Baghdad. 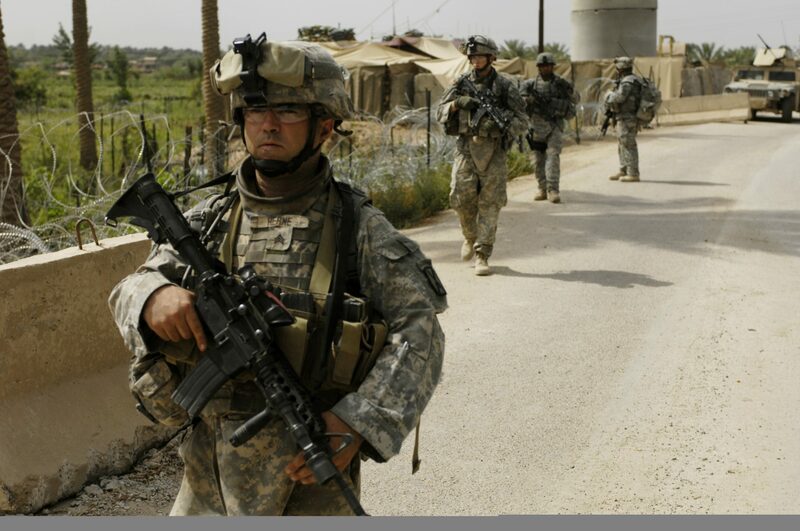 One of the battalion’s most significant actions in Iraq was providing security at polling centers in the Kadhamiya area during the first Iraqi national elections in January 2005 before returning to Fort Drum in June. Returning to Iraq in May 2006 at the height of the Sunni insurgency, 4/31 Infantry was the core of an 800-strong task force operating in the “Sunni Triangle.” Working in conjunction with Iraqi security forces, the soldiers of 4/31 Infantry conducted counterinsurgency operations accounting for the capture of approximately 1,500 insurgents. In addition, the battalion also assisted in improving the community by building schools, roads, canals, and other infrastructure. The battalion returned to the United States in November 2007 after sixteen months in Iraq, having lost twenty-six soldiers. Today, 4th Battalion is assigned to 2d Brigade Combat Team, 10th Mountain Division, at Fort Drum. It remains the only active battalion of the 31st Infantry to uphold a proud legacy that includes six Presidential Unit Citations, a host of other unit awards, and twenty-five campaign streamers.